Diamonds are beautiful gemstones that have been used as adornments for centuries. To choose a diamond, you have to first decide on your 4C's - carot, cut, clarity & colour. Diamonds are weighed in carats and each comes with their own special certification, for example, 0.5ct H Si2. This means that the weight of the diamond is 0.5ct, the colour is H and the clarity is Si2. The next step in choosing a diamond is looking at its clarity, just remember - the higher the clarity the higher the price. The clarity scale ranges from FL (Flawless, free from inclusions or blemishes at 10x magnification) to I3 (Obvious inclusions, easily visible to the unaided eye). Following the clarity, is the colour of the diamond. White diamonds are graded from D to X. As the grade of the stone lowers, the stone will be more yellow and the price will be less. True colour diamonds like yellow, pink and blue are graded on different scales. The last step in choosing your perfect diamond is the cut. We offer a wide selection of cuts. Gold | Being the most commonly used material for jewellery, gold has great aesthetic value and good durability. 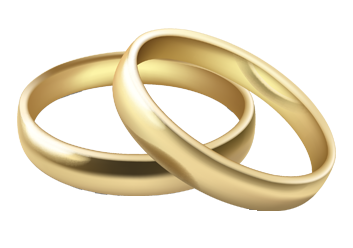 There are different types of gold in the industry - white, red and yellow gold, all available in 9ct, 14ct and 18ct. The ‘ct’ refers to the percentage of fine gold in the metal. Seeing that gold is very soft in it’s raw form, it is alloyed with other metals to make it stronger. Platinum | This is a very strong pure white metal. It is great for engagement rings, as it is most durable compared to gold and palladium. Silver | This is a less expensive white metal, mostly used for dress jewellery. This material isn’t suited for engagement rings. Our Preez range of earrings, pendants and rings are mostly manufactured from this elegant material. Titanium | This is a light grey metal which can only be molded into certain designs, which is not manufactured at our studio. Titanium is mostly used for gents wedding bands. Palladium | This is a very versatile metal which is used as an alloy for gold. Tungsten | It can also be a dark grey metal which is very hard and scratch resistant. Tungsten is mainly used for gents bands and is only available in certain designs, as it is not manufactured in the studio. Preez Designs is a world class jewellery design and manufacturing company that was established in 2011. Although our main focus is creating custom designs, we also have an instore range of beautifully crafted designs. Our manufacturers work with all precious metals which can be handsomely adorned with any semi precious and precious stones.